The enterprise mobility market continues to expand and is expected to become a $340 billion market by 2017. Clearly, mobility has been a big asset to our personal lives; many of us believe we simply could not live without our smartphones—how could we shop, socialize, know what’s going on around us, or even check the weather forecast or read a restaurant review without these marvelous and addictive devices? Mobility, on the personal front, has indeed won us over, and the things we do with our mobile devices and their associated technologies have become second nature to us. But what about mobility’s impact on our work lives—particularly in the clinical environment? Yes, we are seeing an increasing number of medical apps, but are these really streamlining and aiding our workflows? Can mobility be just as effective at work as in play? Indeed, it would appear that we are only at the tip of the iceberg when it comes to truly embracing mobility at work. To fully reap the benefits, it can be argued, we as an industry need to go all in with mobility, with a purpose-driven embrace. It is futile for a vendor—say a PACS vendor—to make a mobile app available for their customers if all the app can do is to present imaging studies and reports in a scaled-down version of what a PACS workstation can display. Mobility for the sake of mobility is simply bad strategy—it benefits no one. This is also true for healthcare provider. Simply allowing mobile devices to be used within the provider’s network is not just unimaginative, but is also a bad strategy that can in fact be dangerous. Uncared for, enterprise mobile management can become a tremendous headache, with security, device, and data management challenges that could an organization in the headlines for all the wrong reasons. A purpose-driven embrace of mobility, however, would be tremendously beneficial to vendors and providers. Such a strategy doesn’t just complement a vendor’s current key products, but it also permits the emergence of competitive advantages around niche clinical workflows that can be enhanced greatly by mobile technologies. Dissecting the entire imaging workflow reveals opportunities to add value in a number of specific areas—including study ordering, scheduling, capture and storage; image distribution and interpretation; report distribution, clinical image viewing, patient education, charge capture, image sharing, and many more.3 There are also perfect-fit opportunities for mobility in ancillary support in radiology, such as for technologies, quality-control tasks for PACS administrators, and for scheduling and protocoling. Clearly, the opportunity is so much bigger than just creating one more app that no one will use more than once. Imaging studies are not useful locked away in PACS storage repositories, especially in times of clinical need. Easy access to images and enhanced image-exchange capabilities could greatly transform a wide range of clinical workflows. Today’s image-exchange capabilities allow for convenient, cloud-based, and secure workflows that address key clinical needs. For example, the entire workflow around telestroke can be greatly enhanced with mobile image-exchange capabilities, permitting efficient care coordination as needed among ED physicians, stroke specialists and radiologists. In an ideally designed environment, the relevant imaging studies could be made available to all clinicians regardless of where the studies actually reside. This is also true for teleradiology. Using edge devices and mobile viewers that are geared toward specific telehealth scenarios, quick consults, wet reads and even full teleradiology services can be available on demand and much more meaningful and relevant. The idea is to enable image-exchange capabilities that are not just convenient, but also secure and cost effective. When images are made available at the time of need, they become invaluable and greatly beneficial to clinical care. Embracing secure cloud technologies, whether coupled with a vendor neutral archive (VNA) strategy or not, allows for a streamlined process to capture, store, and retrieve imaging studies and related content via mobile devices on an as-needed basis. Zero-footprint viewers (ZFP) do not need client-side installations or downloads; they allow users to view images and reports within their native web browser. Emerging workflows that leverage these technologies include streamlined wound imaging and better tele-ophthalmology offerings. Freeing up imaging studies could even allow for advanced workflows such as image-enabled health information exchanges (HIEs), some of which already permit mobile app-based display of continuity-of-care documents (CCD) from participating provider organizations. Permitting the viewing of images across HIEs could further enhance workflows, patient care, and imaging utilization by reducing unnecessary studies. Mobile devices also offer tremendous opportunities to extend workflow beyond clinical desktops and workstations, leading to fluidity in workplace collaboration. It is predicted that, by 2016, most collaboration applications will be readily and equally available across tablets, desktops, smartphones and browsers, reinventing the way employees work.4 Applied appropriately, mobile devices could truly leverage unified communication (UC) and location awareness, enabling collaboration across care teams and specific to targeted clinical workflows. Secure texting via mobile platforms across a health system is an example of workplace collaboration done right. The same platform could also be used by providers to securely and easily exchange key images such as X-rays and EKG strips. Mobile devices are also the perfect vehicles to deliver critical test results, allowing for meaningful communication between radiologists and referring physicians. Closing the loop on critical communications is vital, and it would seem to be a no-brainer to enable voice and video capabilities inherently available on most smart phones and mobile devices today. The massive variety of mobile devices available today permits a broad range of choice and flexibility on how they may be used in clinical settings. While smartphones are getting larger, tablets are getting smaller and lighter; the emergence of the “phablet” heralds a possible new era in mobile computing and the use of mobile devices in the clinical care settings. Regardless of their size, many of these devices are equipped with higher-resolution cameras (that can take images of key clinical findings or enable live video consults), more powerful processors and a growing variety of sensors that could be leveraged for innovative clinical uses. While we may consistently be just weeks away from the “next big thing” in mobile devices, manufacturers continue to try to one-up their competition with each new release. Android devices are often equipped with sensors and gimmicky features that may not be all that useful in the clinic. Apple is rumored to soon be releasing phones with larger displays and better everything. Microsoft Windows® phones and tablets continue to make incremental progress, but they still seem to have challenges of achieving deeper market penetration. Competition continues to heat up; at the end of the day, it may be the consumer who wins. According to a recent HIMSS Mobile Technology Survey,5 97% of respondents indicated that clinicians at their organizations access information using mobile devices, but only 38% noted that their organization has a mobile technology policy or mobile strategy in place. Most organizations, however, are beginning to adopt or develop mobile-device management strategies and to implement “Bring Your Own Device” policies. A sound device-management policy has to be simple but clear. The ease of bringing into a facility an Internet-enabled device that could potentially tap into protected health information must not be taken lightly. Healthcare institutions must start dictating expectations and standards to vendor partners, as opposed to going with the free-for-all, first-come-first-served, let’s-see-how-it-goes mobility deployment frenzy we see today. Mobility, done right, could greatly complement existing workflows and improve care quality and access, and clinical care coordination. Across the enterprise, we need to not just simply tolerate the demands of the mobility movement, but embrace it with purpose-driven-use cases that could transform the way we practice care today. Much like how we have embraced mobility in our personal lives, mobility on the work front will soon become second nature to us. Indeed, the time when mHealth and telehealth merge simply into “health” is arguably not that far away. Shrestha, Rasu B. Imaging on mobile devices. Applied Radiology, October 2013;42(10): 32-33. Is mHealth poised to explode? Float Learning. http://floatlearning.com/mhealth/. Accessed Aug. 11, 2014. 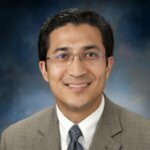 Shrestha, Rasu B. Mobility in healthcare and imaging: Challenges and opportunities. Applied Radiology. September 2012. 42(9 32-33). Gartner: Workplace collaboration moving to multiple devices. http://mspmentor.net/mobile-device-management/gartner-workplace-collaboration-moving-multiple-devices. Accessed Aug. 11, 2014. Survey, 2011 HIMSS Mobile Technology. December 5, 2011.http://www.mhimss.org/sites/default/files/resource-media/pdf/HIMSS%20Mobile%20Technology%20Survey%20FINAL%20Revised%20120511%20Cover.pdf. Accessed Aug.5, 2014. Enterprise Imaging: Mobility can streamline imaging—as long as we embrace it with purpose. Appl Radiol.